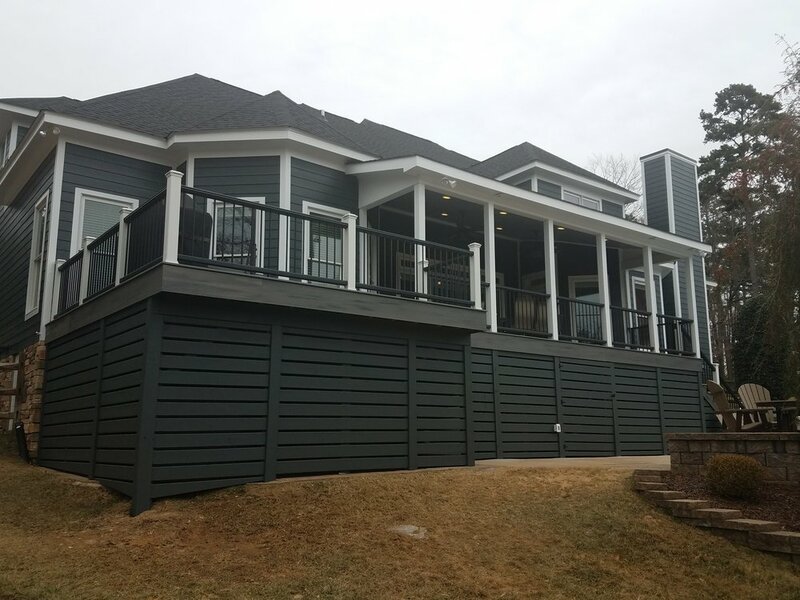 Deckscapes designed and built this beautiful rear porch in February of 2018. 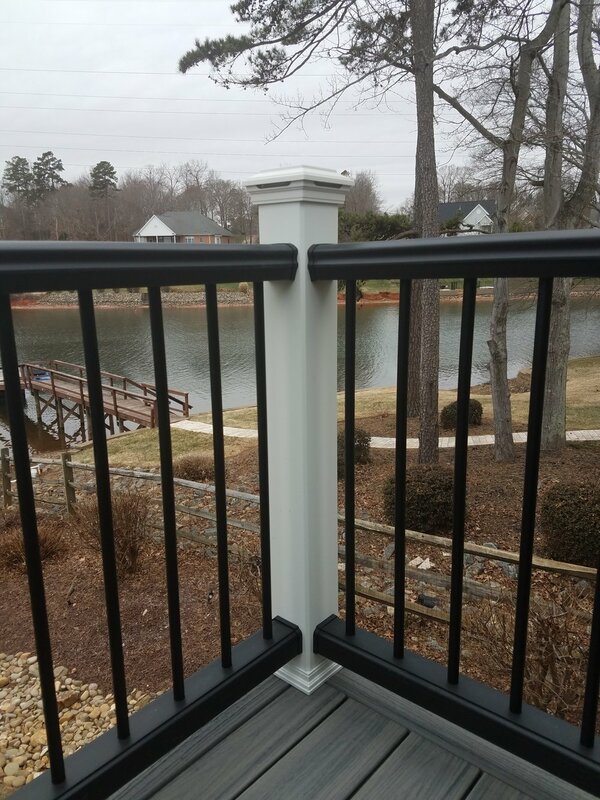 These clients live in the Selwyn area of Charlotte. 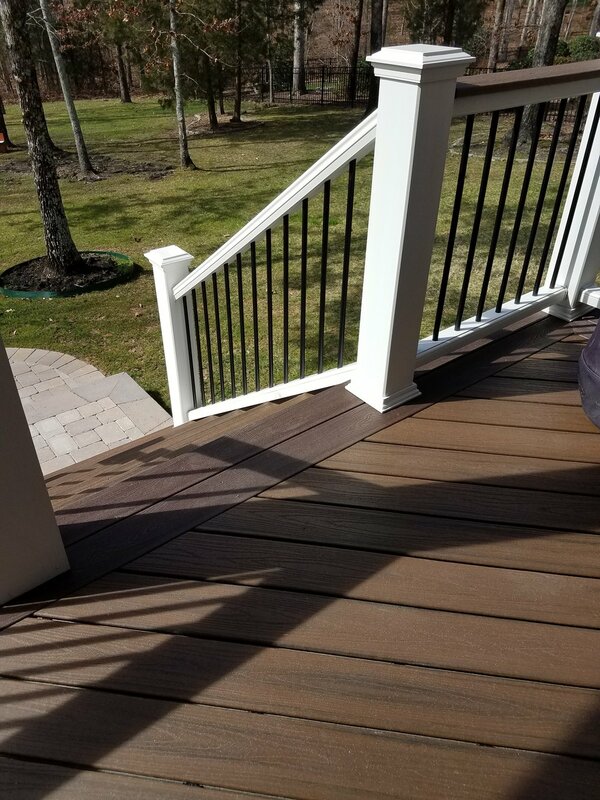 They originally had an aging rear deck that was falling apart and not very functional and a water drainage problem in their backyard. 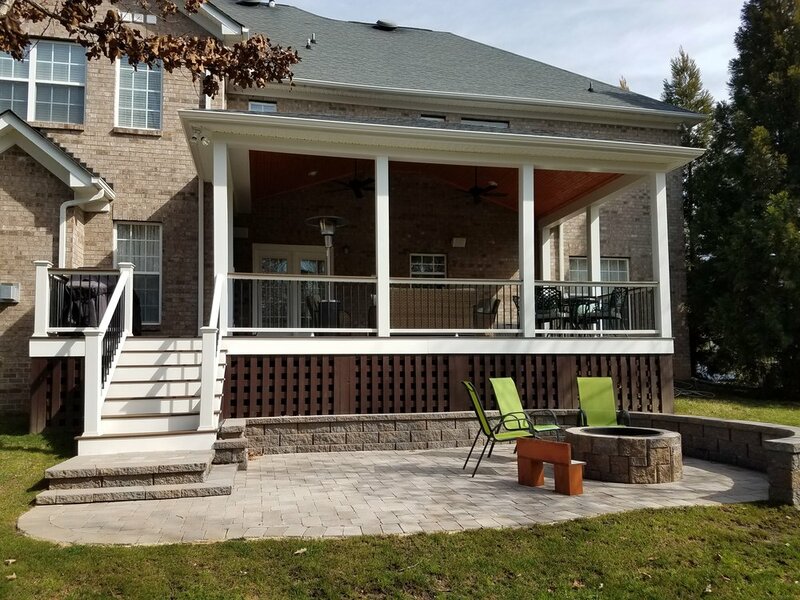 We built the porch large enough to accommodate guests sitting at the fireplace or just enjoying a nice dinner with friends. 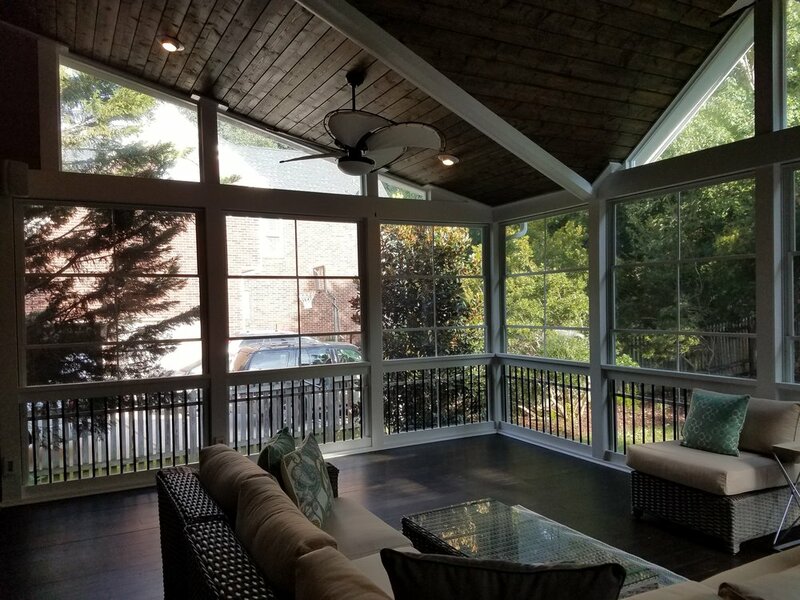 We used Cox deck boards for the flooring and stained them to match the exposed beams on the ceiling. 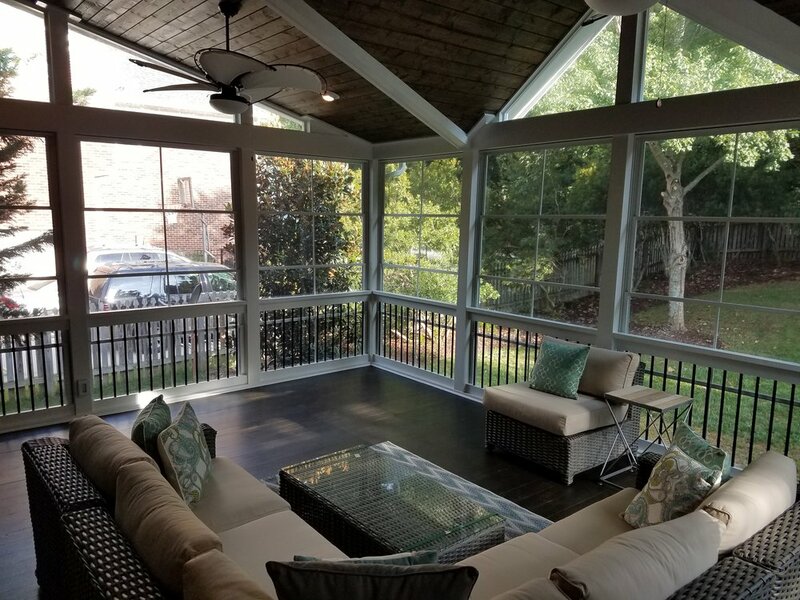 We added EZE Breeze porch windows on the outside so the clients can open them up to allow in a gentle breeze or close them up to stop annoying pollen or rain from coming in. 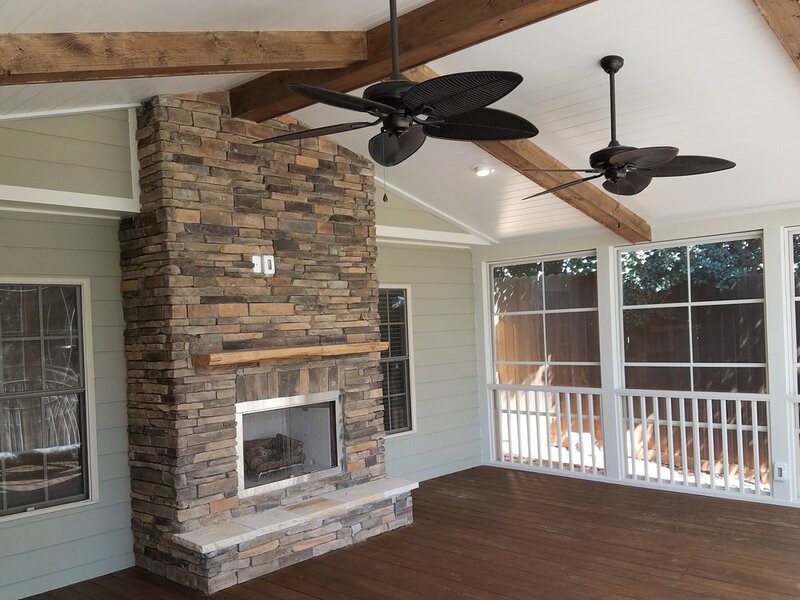 The ceiling is a flat V-Groove tongue and groove with exposed large beams stained in a dark chestnut color. 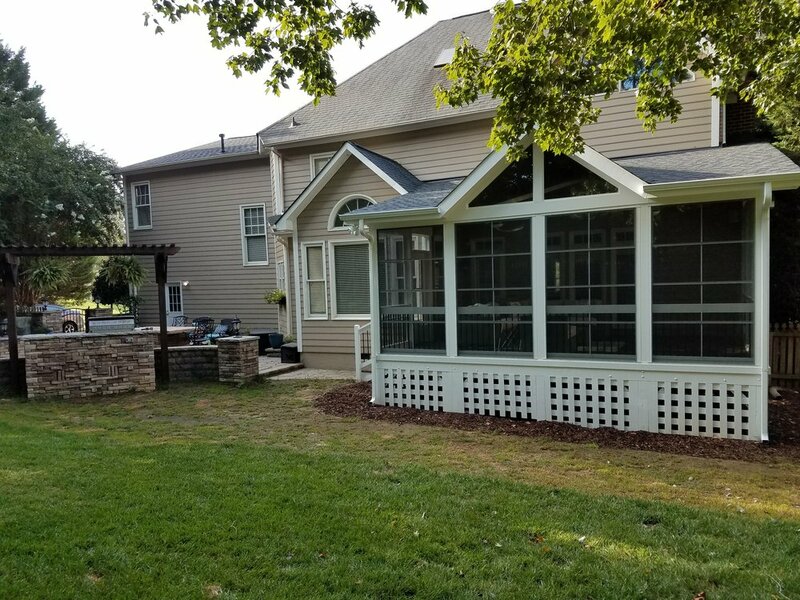 We added a gas fireplace with stone that matched their existing fireplace. The fireplace mantle is a very old piece of wormy chestnut 4"x12" that our clients just love. 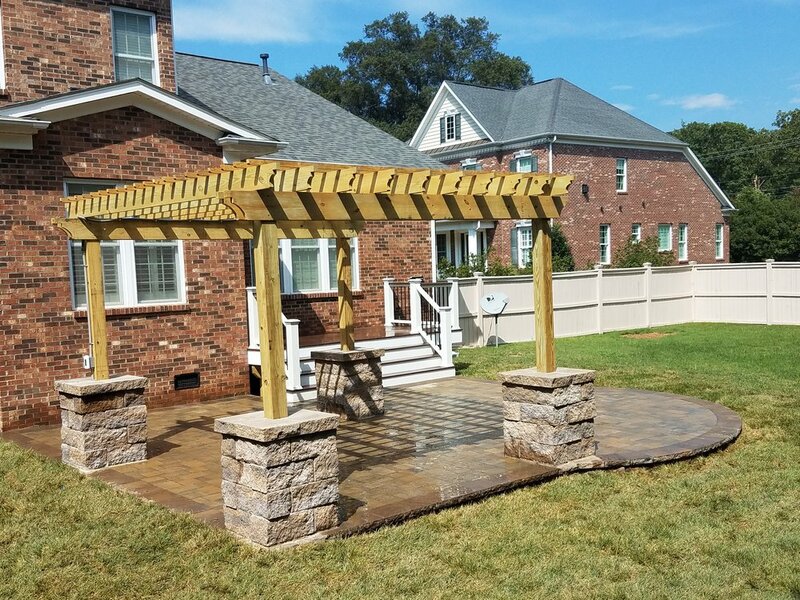 Its very rustic and look awesome. 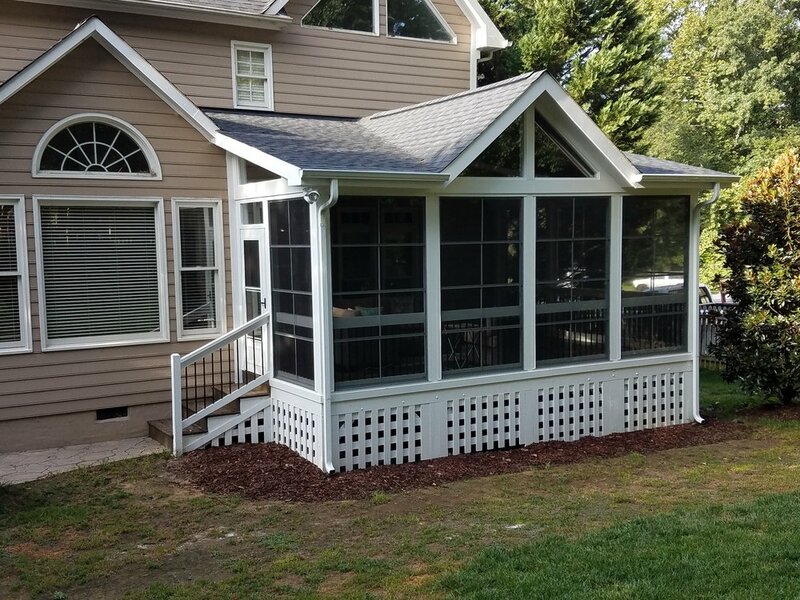 We also removed an old French door and replaced it with a new 6' wide French door which opens out to the porch room. We finished off the ceiling with 2 very attractive Hunter fans and 6 recessed cans which operate with a dimmer. 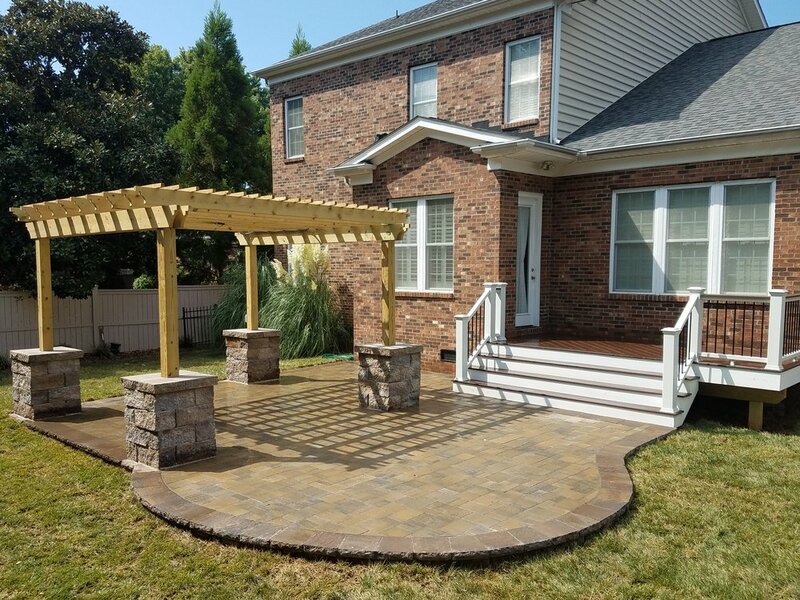 Outside the porch we added a large, functional paver patio using Pavestone untumbled pavers in a 2 piece design with a border to match and a seating wall which was added to help with their initial drainage problem. 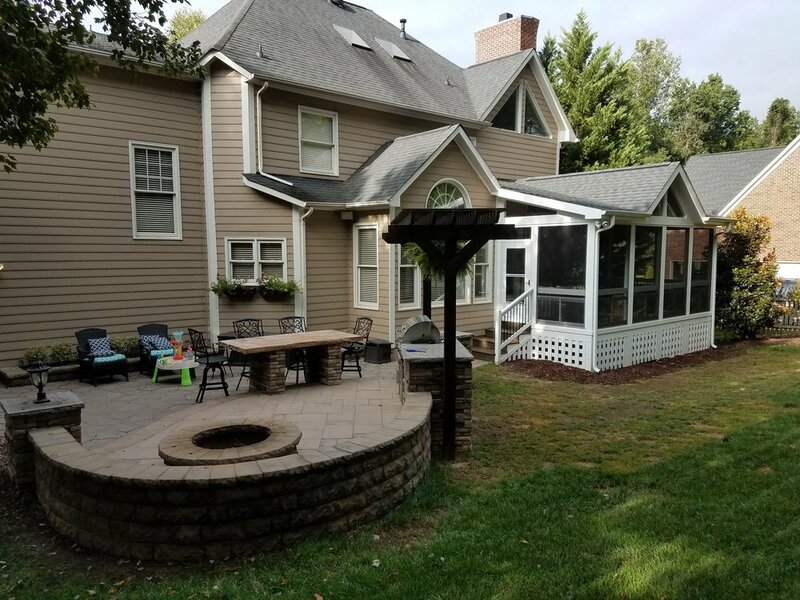 Overall, this porch and patio came out awesome and I hope our clients enjoy many years of great times with their family or friends. 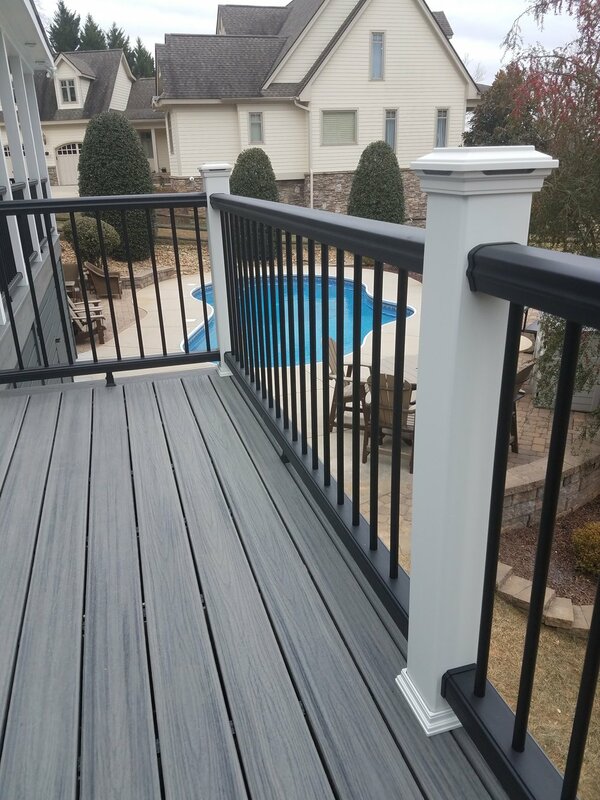 Deckscapes goal is always to make sure out customers Enjoy Being Outside this project should do just that. Enjoy!